Grid Tie Direct Inverters synchronize with utility power, sending “excess” energy production to the grid to offset residential and commercial utility cost. 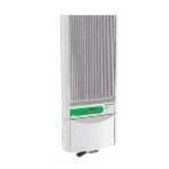 These inverters do not use batteries (see Battery Based Inverters page for backup/stand alone options), automatically shuting down when there is a power failure. Energy production is metered and displayed on the inverter and/or on remote displays. Please visit our consulting page for the Grid-Tie worksheet. Our dedicated staff with 30 years experience in Solar Electric Systems will review your information and specify the right equipment for your needs. Featuring the smart-grid ready Enphase IQ 7 Microinverter series- an integrated solar energy solution that provides significant benefits over traditional solar energy installations including increased energy harvest, improved reliability, and dramatically simplified design, installation and management. 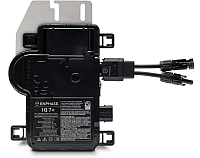 The Enphase system includes the micro-inverter, communications gateway, and web-based monitoring and analysis. 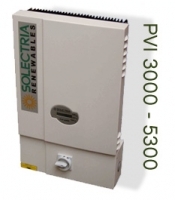 Solectria Renewables designs and manufactures premium efficiency, high reliability power electronics and systems for renewable power generation. With a “Made in America” label, Solectria components are 90% American made. PV systems allow you to become more independent from rising electricity costs and to move away from conventional energy carriers. Therefore, count on the sustainable and decentralized energy supply of the future. Without sacrificing comfort or convenience. 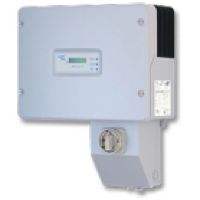 The intelligent solutions from SMA make energy consumption affordable, manageable and reliable. Greater independence from rising electricity costs resulting in financial savings, Sustainable energy supply with solar power & Greater transparency of your energy budget.